Meg recognized her passion and gift for seeing beyond the physical world and into the subtle energies of those around her at a young age. Blessed with a natural psychic ability, she began to understand the keys to life’s struggles, pain and disease and was driven to transform her own debilitating life patterns. Pursuing an array of therapeutic treatments, she was relentless in her pursuit for finding a healing modality that worked, and was successful when uncovering a vision into deeper levels of consciousness. As a pioneer in Quantum Healing and Sacred Geometry, Meg experienced a profound awakening in 1994 that activated her inherent template for performing and understanding the mechanics of Quantum Access™ as a powerful tool for transformation. It was during the 1994 Northridge earthquake in Los Angeles that Meg experienced a spontaneous kundalini activation that opened her energy body to accept an angelic Soul Walk-In…a feminine aspect of Archangel Metatron. This experience was life-transforming as Meg discovered through the guidance and wisdom of Metatron the magnitude of change possible when tapping into the Zero Point Field (vacuum dynamics) of a spinning Torus Vortex, the source of creation for the Universe. Drawing from 20 years of healing experience and extensive research, Meg Benedicte has created an original and powerful healing approach, the distinctive proprietary process known as Quantum Access™. By activating Metatron’s sacred geometry, Metatron’s Cube, into a Torus Merkaba, she can access unlimited free energy to eradicate disease, polarity and the decomposition of time. n the past decade Ms. Benedicte expanded her personal appearances to larger groups in radio shows and tele-seminars at New Earth Central, the Dr. Pat Show, World Puja Show, Transformation Talk Radio and Global Meditation Broadcasts. 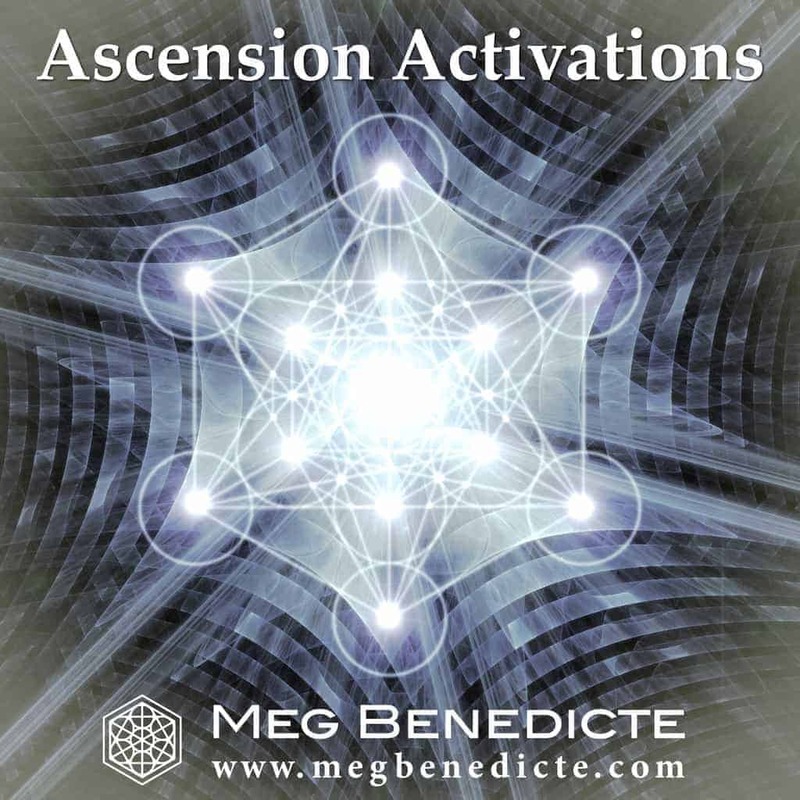 Serving as a Master Alchemist, Ascension Activator, and Quantum Healer, Meg Benedicte will continue to facilitate group distance healings that catapult her clients into deeper self-actualization. Quantum Access™ enables her clients to accelerate their awakened consciousness and reach higher levels of spiritual enlightenment. Participants regularly experience deep healing along with an abundance of life force, all while releasing limiting programs and energy patterns, fears and belief systems that have long blocked their well-being and self-realization. ‘By embracing Soul presence, we can break free of human limitations’, states Meg Benedicte. ‘In truth, living every day should be an act of love and joy says Ms. Benedicte. Therefore it is my goal to empower every person I can by helping them release old patterns and conditioning that keeps them from living a life of bliss.